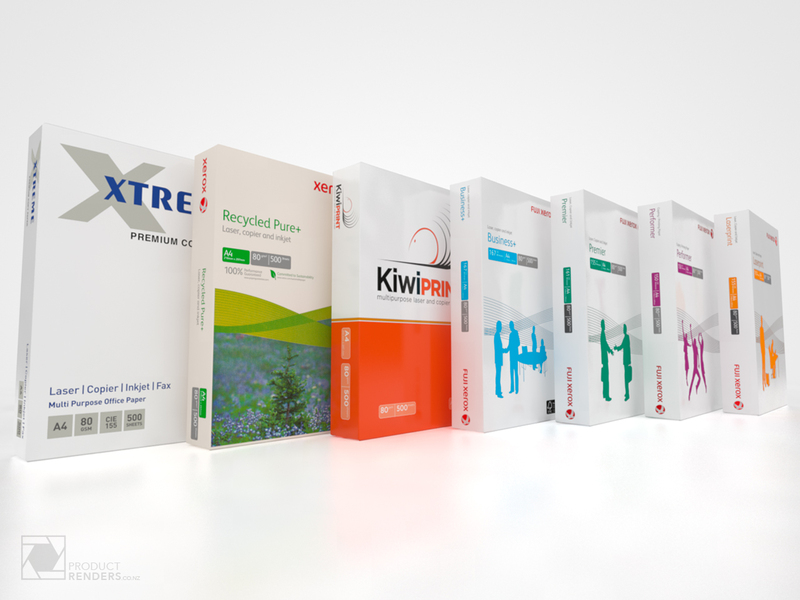 Fuji Xerox contacted ProductRenders to find a better way to create photorealistic images of their Fuji Xerox paper range of products. We sat down and made the whole process very simple. No more trying to match the photographic setup and lighting, no more expensive photo shoots and retouching, just perfect images every time. As part of the design and manufacturing process, a set of flat print-ready artworks were always made. We utilised these artworks and simply wrapped them around a master set of 3D models. 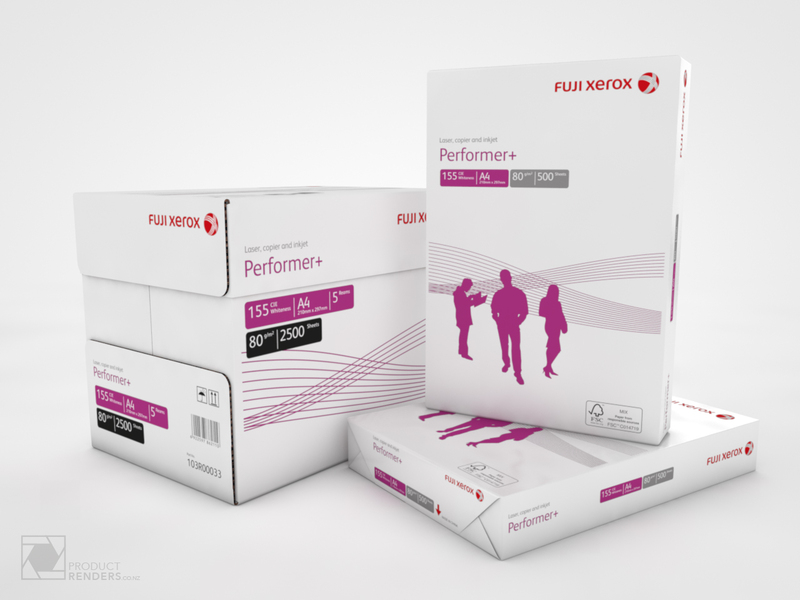 Every time a new product is brought to market, Fuji Xerox would send us the artwork files and we’d output there set of standard renders. No photography, no fuss and no big invoices. 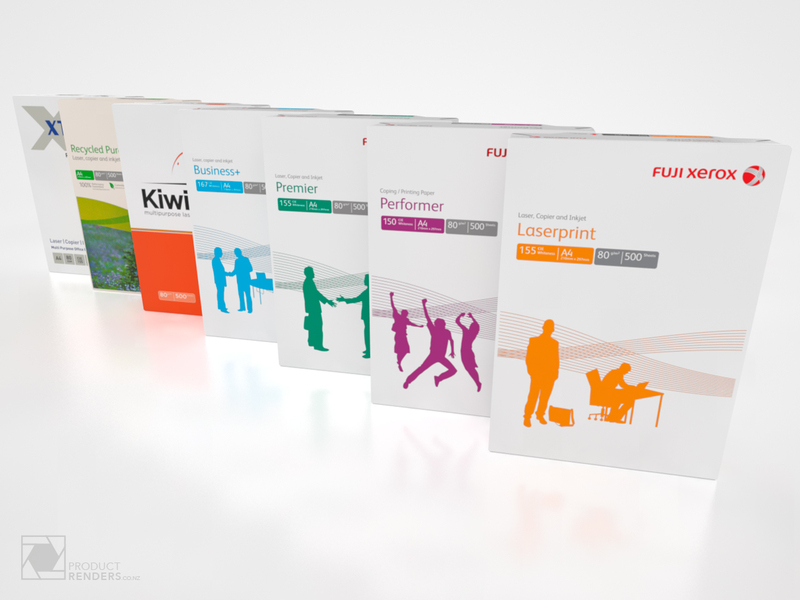 More great products from Fuji Xerox can be found on their website here.